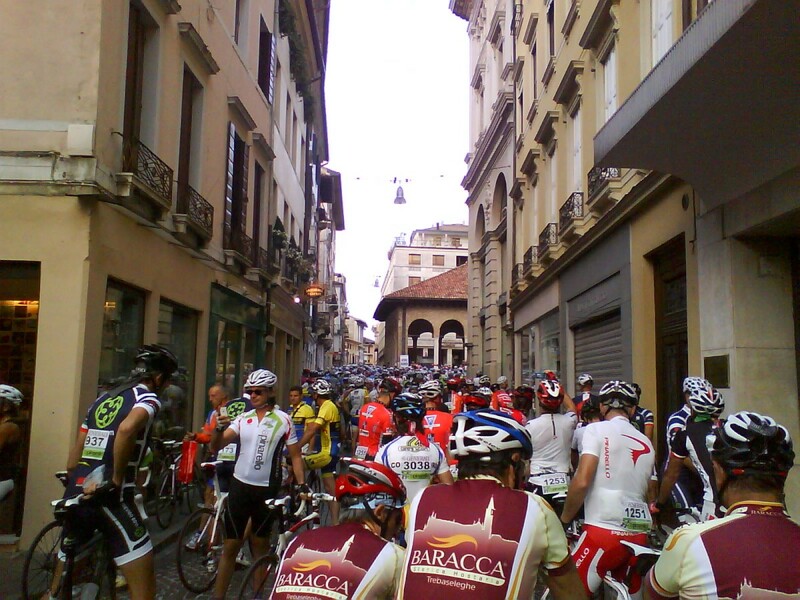 La Pina Cycling Marathon is challenging Gran Fondo sportive that starts in the beautiful town of Treviso and heads into the Dolomites. 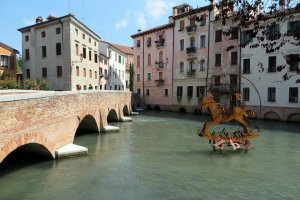 Treviso is the home of Italian sparkling wine Prosecco, the clothing empire Benetton and the internationally renowned cycling brand, Pinarello, who host Gran Fondo Pinarello cycling marathon every year. 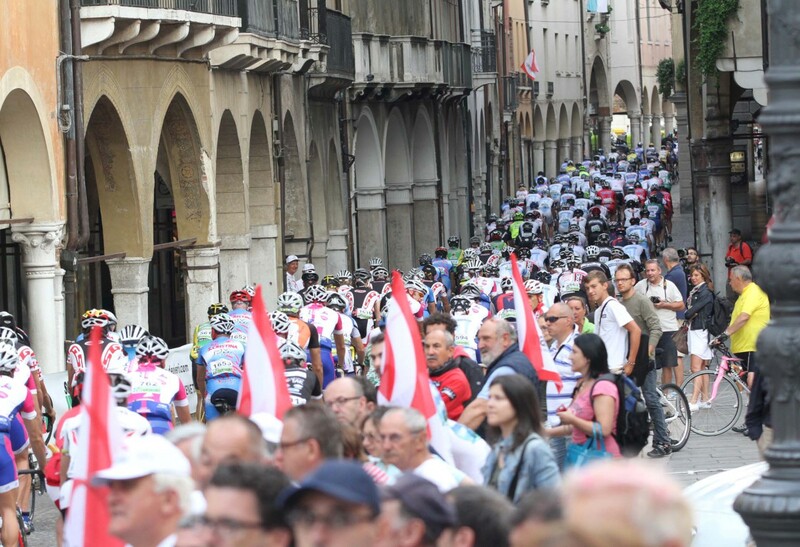 The whole town is taken over by cyclists from across Italy and around the world for this celebration of the famous Pinarello brand and Italian cycling. 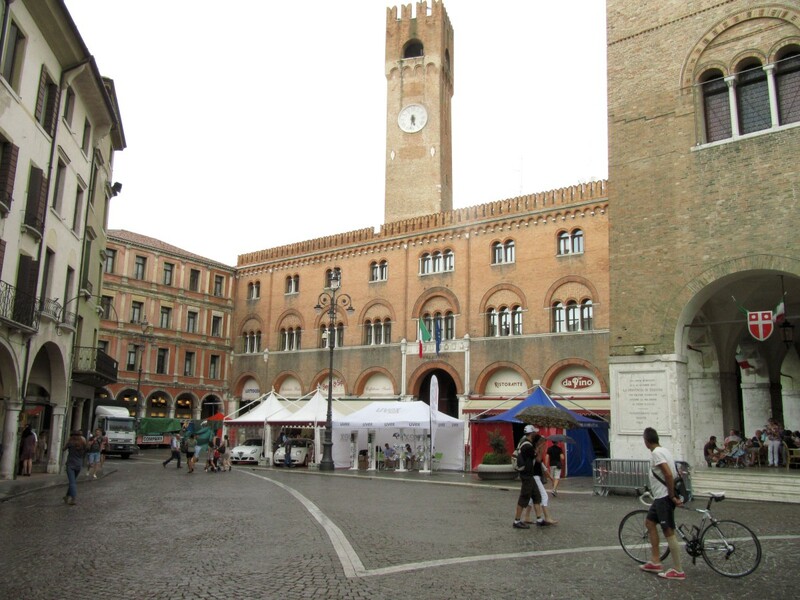 La Pina Cycling Marathon is challenging Gran Fondo sportive that starts in the beautiful town of Treviso and heads into the Dolomites. 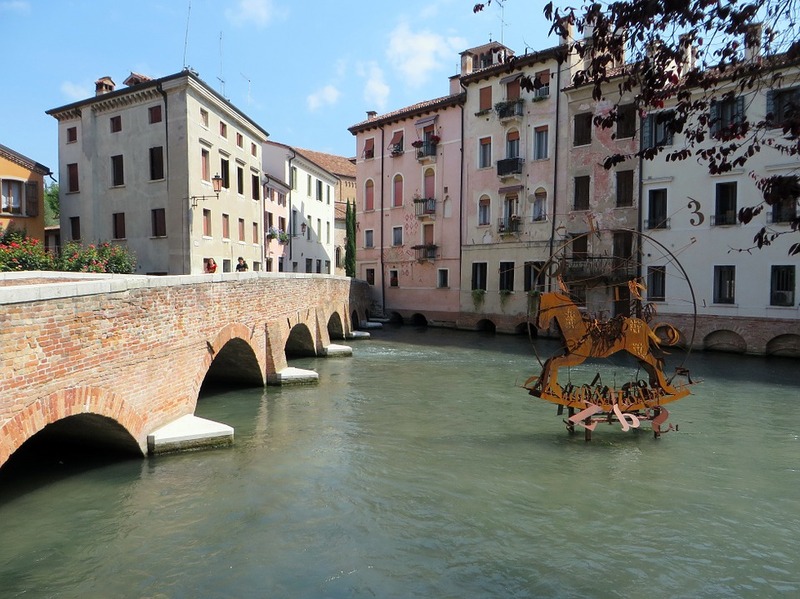 Treviso is the home of Italian sparkling wine Prosecco, the clothing empire Benetton and the internationally renowned cycling brand, Pinarello, who host Gran Fondo Pinarello cycling marathon every year. 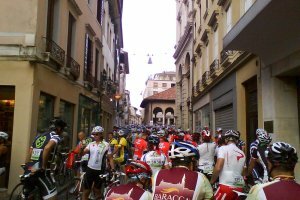 The whole town is taken over by cyclists from across Italy and around the world for this celebration of the famous Pinarello brand and Italian cycling. The shorter Medio Fondo takes you into the lower hills just north of Treviso where you ride through the unique Prosecco vineyard landscape this route is 114 km long and features a few Category 3 hills. It is a good challenge for the average rider. The longer Gran Fondo route takes you up and over the Treviso Alps and returns you along a shoulder of the Monte Grappa massif. This route is 158 km long and the mountain crossings are Category 1 climbs. This route is a serious challenge for the experienced, well trained cyclist. 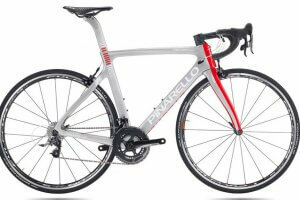 Ride the Gran Fondo Pinarello La Pina and get a wonderful cycling experience in Italy! 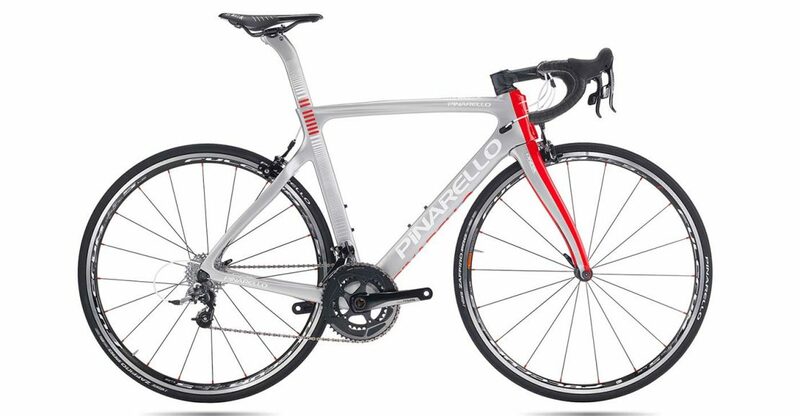 Ride the Gran Fondo Pinarello – La Pina and get in wonderful cycling experience in Italy! Get a premier Italian road cycling experience! Check in around 14.00 at the 4* hotel in Follina. This accommodation is specifically chosen to enable you to ride out into the best local cycling countryside right from the front gate. There will be a briefing for the next day’s activities and for the Gran Fondo Pinarello - La Pina. In the morning you go for a beautiful ride in the Prosecco hills around Follina. You will cycle through the old First World War areas, passing the Piave river before reaching the Prosecco Valdobbiade hills. Here you will taste superior wines and excellent food. You will visit the famous “Osteria Senza Oste” wine cellar. On today’s trip you will climb the hills of one of the best known and important area of Northern Italy for their wine production. You will go up to Cartizze hills, closed to Valdobbiadene, which is the real heart of the wine culture, where everything is vineyard. Different villages, vineyards, evocative horizons, history, arts and emotions which rise up after every single turn. After a short climb you will reach Refrentolo, you go down to Solighetto and at the end of steep turns you will turn left. Really interesting can be to reach the “Molinetto della Croda”, which is really wonderful and must be seen. From the Center of Col San Martino you will go through Guia and Miane which go up with gradual slope. Once you reach the Pedemontana public street you will turn left towards Valdobbiadene. You will finally arrive at Valdobbiadene. This day is an early start with a substantial breakfast before travelling the short distance to Treviso. The Gran Fondo gets underway around 07.30 and features food stops and technical support. There is also a pasta party of hot food and cold beer at the end. You can choose which route to follow during the actual event. 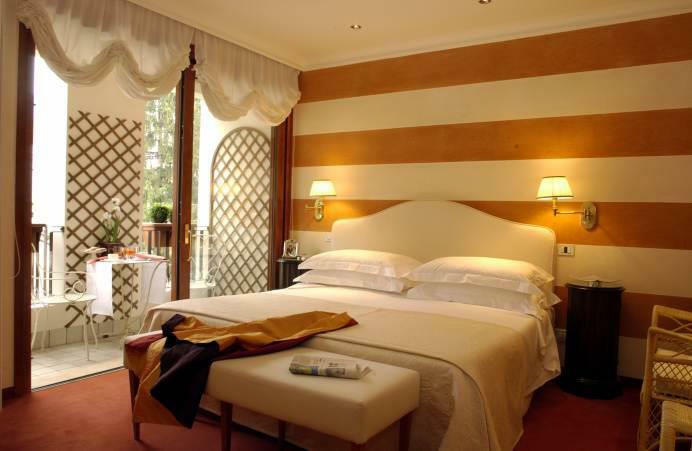 After the Gran Fondo you will return to your hotel. Departure day…..Time to say goodbye, a good flight back home or a pleasant stay in Italy. If there is time you can do a short local bike ride. The most important gateways to the north part of Italy are Venice/Treviso (start of the tour in Gran Fondo Pinarello) and Milan Venice Airport (named after Marco Polo) is one of the main hubs to the most romantic city in the world. Many companies have direct flights from all over the world to Venice. There's no train connection between Venice and the airport but the Fly bus goes to Venice main railway station, Venezia-Mestre.The airport is 12 km away to downtown Venice. The other airport is Treviso airport. This airport is mainly used by Ryanair and lies 20 km north of Venice. There's no train connection with the airport. 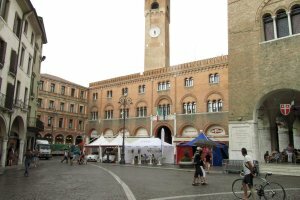 You can take a bus to Treviso and from there you can take the train to Venice. The ride from the airport to Treviso is only 3 km.